Axion develops innovative processing solutions for managing waste materials, supporting the implementation of sustainable business solutions at both strategic and operational levels. We are committed to delivering quality services, which meet the needs of our clients and recognise our responsibilities to protect and care for the environment. 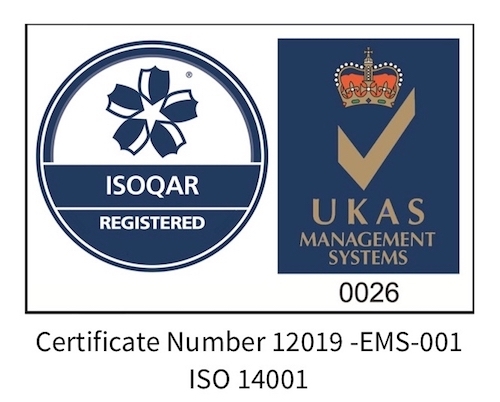 We are committed to the continual improvement of our own environmental performance and Environmental Management System (EMS), with ISO14001:2015 certification for the Bramhall site. As part of the certification, our system includes environmental performance evaluation so that we can quantify our environmental improvements. Support the development of our staff by communicating the benefits of environmental protection and communicating techniques and requirements for environmental management. This Environmental Policy will be reviewed annually to ensure its continuing suitability and effectiveness, and to ensure that it remains appropriate to the nature and scale of our activities and resulting environmental impacts.